Reverse Mortgage Purchase Calculator – Find out your downpayment! Important Note: If you are serious about purchasing a home using a reverse mortgage in California or Nevada, it’s important to contact Maggie as reverse mortgage calculators are rough estimates and purchase closing costs vary substantially. You may also need a prequalification or pre approval letter which takes a complete analysis of your unique financial status. 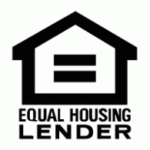 To accurately determine your down payment, fees, rate options: Please fill out my form. The credit link for this calculator is missing and will not work until it is replaced. Reverse Purchase Mortgage is a highly successful program and provides a wonderful opportunity to people who are 62 years or older to move to a home more suitable for aging. Perhaps living closer to family members and services or a single level home or an active adult community will be the best choice! The purchase reverse mortgage option allows you to minimize your cash requirement (and keep more money in your retirement savings), get more home for your money and have no mortgage payments to make. Why take money from taxable retirement income when you can get down payment money from the reverse mortgage and not have to pay income taxes on it? Keep your money in your investments and let it continue to grow and maximize your funds. The money sources for your new home purchase comes from your down payment (money you have in investments or bank accounts, or from the proceeds of the sale of your residence) and funds from the reverse mortgage. The reverse mortgage agreement is that you pay the bank or lender back after you leave your home permanently. Therefore there are no monthly payments during the time you occupy your home. Based on age of the youngest borrower, the current expected interest rate and purchase price of your new home, we calculate your down payment. You can live in your home as long as you like. You must occupy your new home within sixty days of closing! It is very important you understand that when you purchase a home using a reverse mortgage, it must by your primary residence. People are tempted to try to get a reverse mortgage and later turn it in to investment property, but DON’T! This is an owner occupied mortgage and at the point the owners move out, the loan will become due. If you decided to move and have renters or family members occupy your home the reverse mortgage balance must be paid off. Reverse Mortgage Purchase Transactions Are Different! Before you make an offer, you must understand the reverse mortgage purchase requirements. Your Real Estate Agent needs to be aware of what is included in the original offer to purchase. Documents are date sensitive so you must do it right from the start! There are additional forms needed when making an offer using a reverse mortgage as financing. Make sure you have the proper forms in your offer package. Part of my job is to analyze the details of your proposed transaction before making an offer. I will take on the role of pre-underwriter and determine early if your proposed transaction is likely to be approved or not for the reverse mortgage purchase program. You, your agents, the people trying to sell their home all rely on a proper determination of approval from the beginning. Critical time and money can be wasted with a hasty upfront evaluation. So if you are an agent or a homeowner, take responsibility right now to learn how to create a successful purchase transaction and have the wonderful benefits of not making mortgage payments on your new home. It’s important to understand the guidelines for the HECM for Purchase Program. If you would like to have a copy of the reverse mortgage purchase guidelines and additional forms that are required to be included with your purchase offer, call Maggie. Reverse Mortgage Counseling must be completed prior to opening escrow or submitting an application! The seller must agree to complete required repairs prior to closing and included in contract.